This semester, Georgia Tech Police Department (GTPD) has fully implemented an app, Rave Guardian, which is an upgrade from the previous campus safety resource, Jacket Guardian. The Rave Guardian offers functions that allow students to stay safer around campus by quickly enabling the GTPD to respond to emergency situations. Rave Guardian has three functions that can be used for general and individual safety on campus. The functions include an emergency quick call button for fast response from the GTPD, a program for submitting anonymous tips about potential crime or suspicious activity on campus and a self-set program that tracks how long it takes people to complete certain activities, such as walking between destinations at night, and alerts the GTPD if the timer expires without response from the user. While some functions are anonymous, the program allows student user to set up profile accounts to aid GTPD and other smart 911 services across the U.S. The profile information includes basic information, such as name, birth date and others, and allows users to input other important information, such as allergies, family information and personal notes. Only people affiliated with Tech can use all of the app’s functions. Students, staff and faculty are able to use all of the features on the app, including the emergency call button. 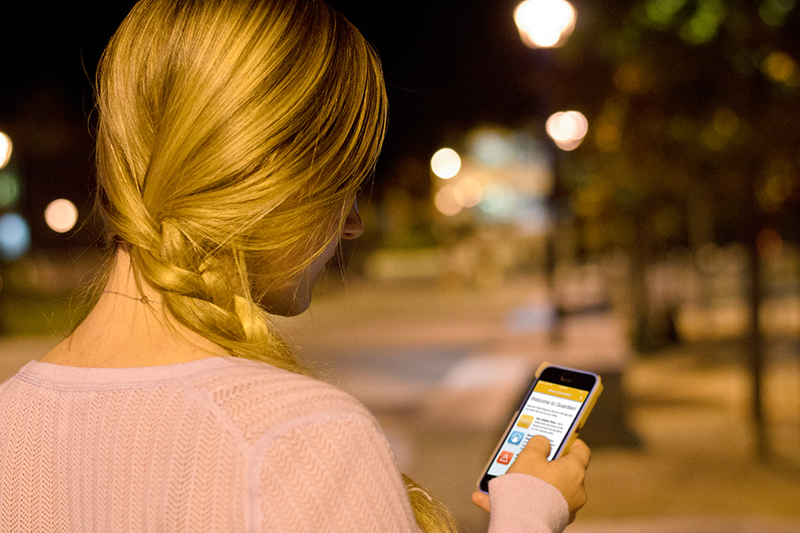 Over the current semester, the app has been used frequently by students through texts and emergency calls, and students have shown that the app has proven useful for keeping individuals and the campus safer. Some students on campus think the 911 service will make a difference on campus and influence the safety in the Tech community. For some, having an alternative to the emergency telephones with extra features will definitely inhibit crime in the area. Barrone states that the app offers a newer option for security and safety for Tech students and serves as an alternative to the emergency telephones across campus. He also emphasized thatthe app can keep the GTPD more informed of activity on campus. Rave Guardian is free on Android and iPhone app stores and students must register with a profile before using it.